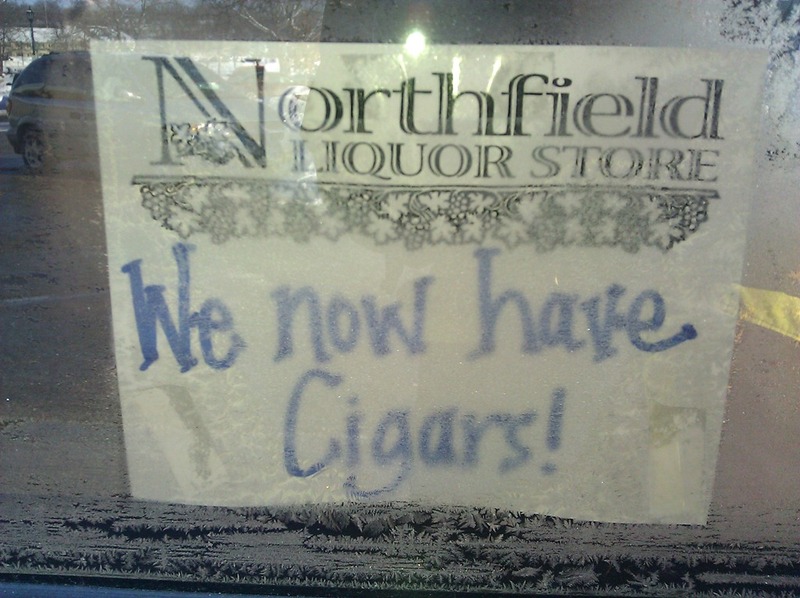 City of Northfield: We now have cigars! Evidently, the Muni is not to be outdone by the soon-to-open Tobacco Field store on Hwy 3. Never mind what the Mayo Clinic says about cigar smoking. I’ve closed comments on this post. Join the discussion on this post: Surgeon General: Just one cigarette can harm you. City of Northfield: Buy it from us.